One of UK's most electrifying new voices, slowthai has just unveiled the official music video for Gorgeous, his new single taken from his much-anticipated debut album, Nothing Great About Britain, whichwill arrive on May 17th. The nostalgic visual, directed by The Rest, encapsulates slowthai’s life growing up in Northampton. 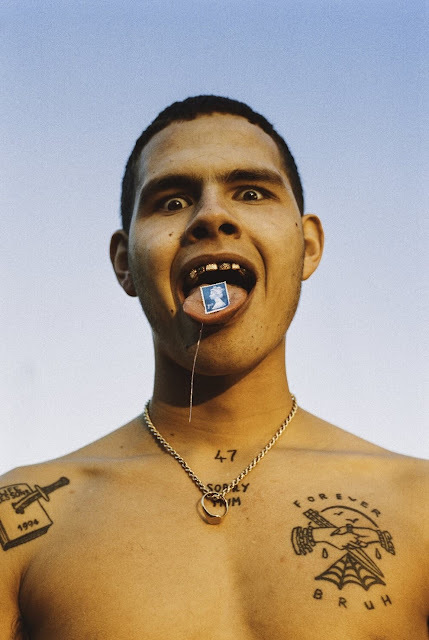 Born on a council estate where the sense of community is unbreakable, slowthai narrates his daily life and takes us through his favourite places including Northampton Town F.C, the local boxing gym and a snooker hall. Watch it below! Reflect and feel ugly. Compare to see the worst, the truths we’ve learnt taking turns, chucking stones in glass homes, gorgeous. with self worth, you're gorgeous, with self worth, you’re gorgeous.